CardMonkey's Paper Jungle: Disney Pixar Blog Hop for August: The Magic of Flip Flaps! 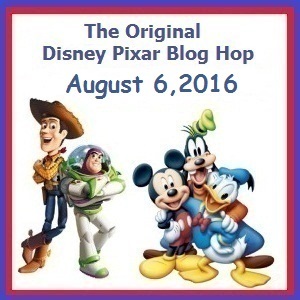 Disney Pixar Blog Hop for August: The Magic of Flip Flaps! 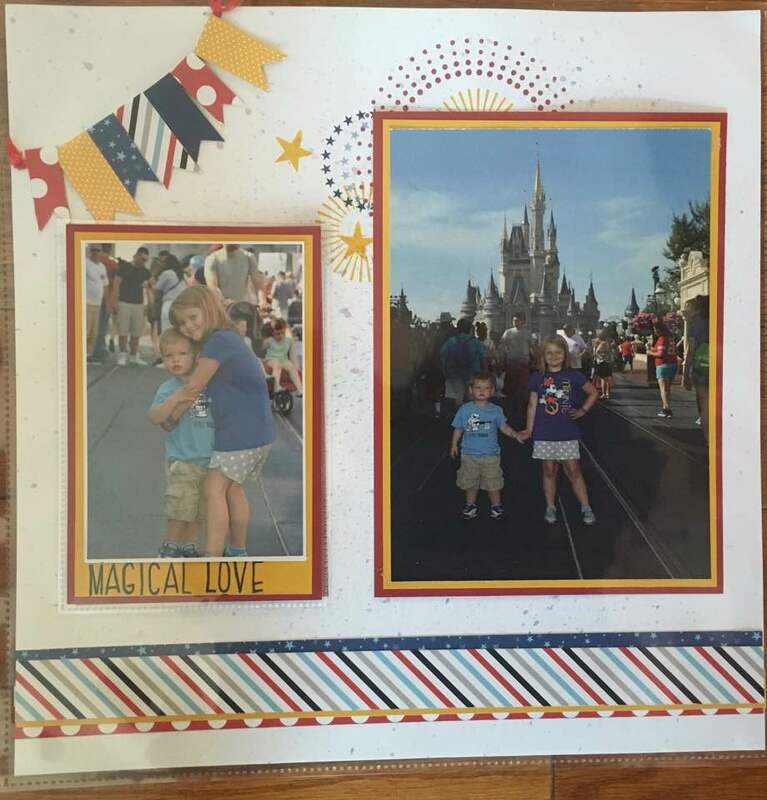 Disney and crafting are a magical combination! We are so happy you joined us today for this blog hop. Some of the crafters participating in this event (including me!) have been doing this together since 2011! Over the years, the hop has grown but one thing has always stayed the same . . . amazing crafting projects that feature your favorite characters from Disney and Pixar movies. For 2016, we are going to have a hop every other month for the entire year! If you missed one of the hops we already had this year, you can still go back and see the projects. For February click HERE, for April click HERE and for June click HERE. If you are on Facebook you can like our group page so that you can be the first to learn about each upcoming event. And who knows? 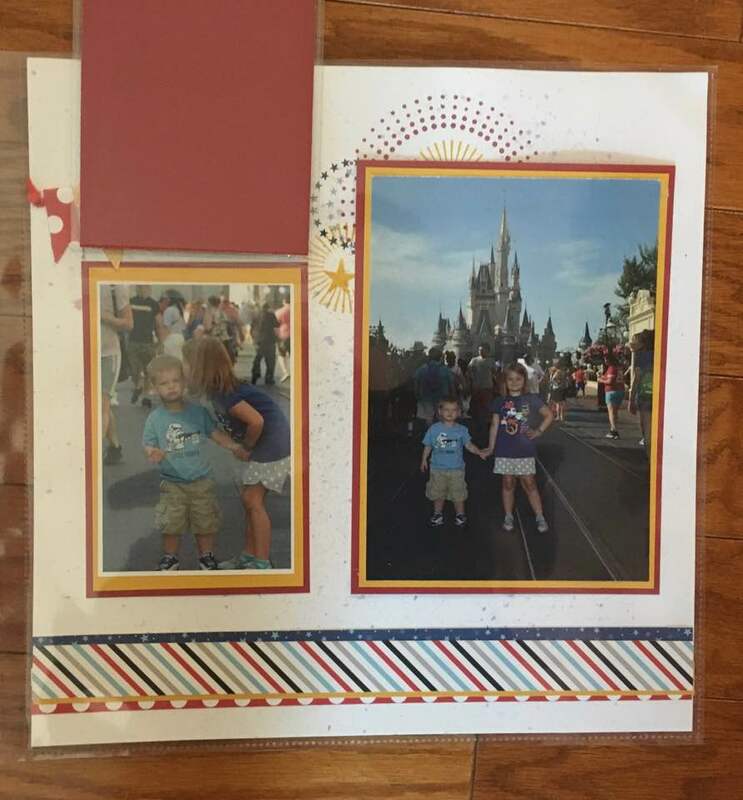 Maybe you'd like to join in to show off your Disney project. Just click HERE to go to the Facebook page. To make sure you don't miss any of the fun, be sure to start at Shawn's blog to see all of the projects. Just click HERE to head over to Shawn's blog and then follow the hop line-up at the bottom of the post to see everyone's projects. Blogger friends, I'm sure, know that my pride and joy are my two grandbabies, Charlotte (5) and Evan (2). In May of this year, the kids and their parents were taken by their granddad (my ex) to Disney World. It was Charlotte's second trip -- we took her 3 years ago -- but Evan's first. It made for some perfect scrapbook moments. 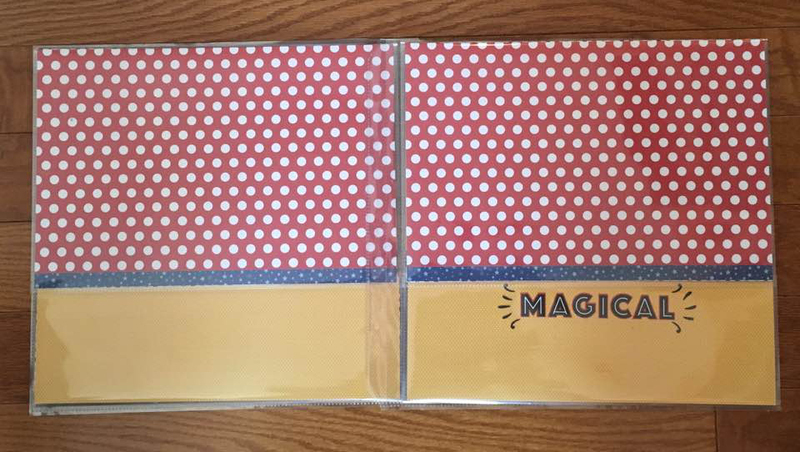 And *I* have the perfect scrapbook paper for their album: Close To My Heart's "Magical" Disney-themed paper suite. Above, you see just two pictures, right? But here, you see the follow-up to Charlotte's hug -- her smooch on her brother's cheek -- just by lifting the miniature page protector (or "Flip Flap") that's adhered to the top of the standard 12x12" page protector. How many pictures do you think I'd be able to comfortably fit in a two-page spread? Six? Eight? How about 26 ... or more? The outer upper panel flips up, the outer lower panel flaps down, and inside, there are different sizes of mini-page protectors flippin' and a flappin' in all sorts of directions! Flip Flaps are available in many different sizes from Close To My Heart, most in packages of 12 pieces. 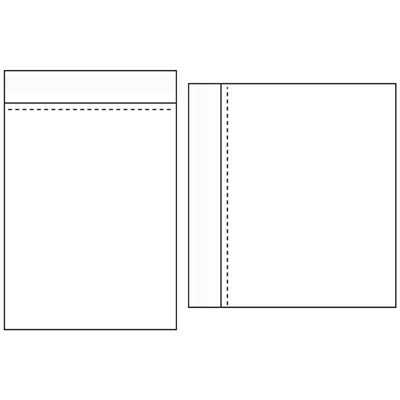 A new feature this year is that half of the pieces have their adhesive strip and opening on the horizontal side, and half are on the vertical side, to allow for greater flexibility in your layout design. 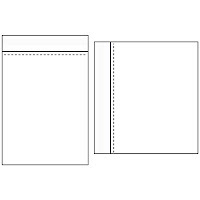 Then the most popular size (4"x6") standard for many photo prints. And another standard photo size (5"x7") is new this year too. Also new is the cute 2"x2" size of flip flaps; this size is perfect for not just photographs, but also souvenirs and mementos, like pressed coins the kids collected at Disney, stickers, charms, and trading pins. Have you ever been to Disney World or Disneyland, and if so, what was your favorite part of the trip? This prize is awarded by me personally! I'll announce the winner on this blog on Monday, August 8. BUT WAIT! Before you go, make sure to enter to win the official prize for this Blog Hop . . .
We have a prize from Clear Scraps! You could win one of their sandcastle chipboard albums! This is perfect for your summer beach photos or with a little magic, this castle becomes the home for any Disney Princess. The full blog hop line up is below. Thanks for visiting, see you next time! LOVE THESE!!!!! 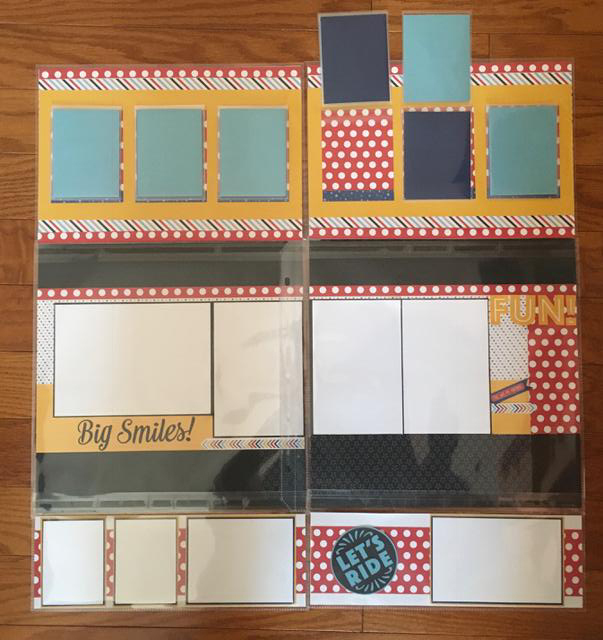 What a great way to get more photos in your layout! I have so many favorite memories for our Disney trips . . . but one of my favorites was when my daughter was around 4 years old . . . she loved Buzz Lightyear, and was much more into the boy themed characters . . . until she saw the show in front of the castle and she looked at me and asked for a Cinderella dress. That was the day my "tom boy" wanted to become a Princess. PURE MAGIC! I volunteer for and organization Crops of Luv .. we create albums for critically ill children who have been granted a wish trip.. a lot of them go to Disney World ... Their parents send us the photos from the trip and we create the albums free of charge.. FLIP FLAPS save us all the time.. trying to narrow down the awesome photo's is difficult .. so we just add flip flaps and the problem is solved! I love your layouts. Flip flaps are so much fun. I went to Disney World as a child, and there were so many things I loved. I loved the Electrical Light Parade, Tomorrowland, and oh my gosh, the food! When my kids were little, we took them to Disneyland. My son was very ill at the time and Disney worked with us to provide a magical experience. He was able to go to the front of the line for all the rides, and was even king for a day in the parade. Wonderful inspiration...I need to do some Disney pages now! Awesome. Great pages. I'm a Disney nut, but have only gone to Disney World a couple times. My favorite part is seeing the castle!